I don’t often write negative blog posts. I try to stick to positive game reviews, as while writing nasty ones is fun it means having to play a game you don’t like multiple times – and I’m finding it hard to get games played that I like! But sometimes you need to get things off your chest, so here are 10 games I played once and thought: I’m done. That doesn’t mean these are bad games. Some are fantastic designs that aren’t for me; some are just not to my taste; but yes, some are bloody awful. I’ll leave it up to you to make your own minds up, of course, and of course you’re welcome to give me some comments (dons protective armour). What did you say no, never again to? One thing I really notice about the list is how so many of the game came out in 2013 or 2014. I think this was at a time when my experimenting with different types of game was at its peak, leaving me open to all kinds of horrible experiences. Now I’ve learned to look at a game and simply say no. Very liberating! So to a certain extent, many of these games were simply in the wrong place at the wrong time. But please remember this is just one person’s opinion; a person who is well aware that all of these games have fan bases, people that love them, and people that designed them. They’re just not for me – but hey, they might be for you. I’ve put this at the bottom of the list because I’m actually a big fan of Uruk, this game’s predecessor, which came out six years earlier in 2008. 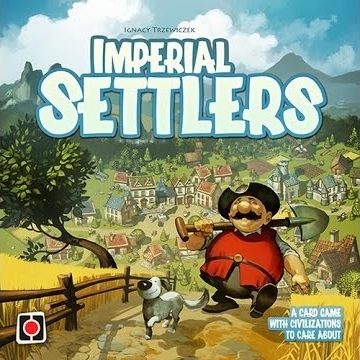 Some accused that edition of having ugly artwork, but personally I like it: while very basic, it has a style that fits the ‘ancient’ theme of the game. My only real complaint with the original is a slight lack of card variety – an expansion would’ve been brilliant. But we didn’t get an expansion. What we got was Uruk II – a game almost exactly the same as the original, but with gaudy artwork a long way from my tastes and a few ‘refinements’ to the rules. What the designers attempted to do was mix things up, take away a bit of the randomness, and generally fiddle around and tweak. What they ended up with is a game that almost mirrors the original but rather than building on it is just, well, a bit different – and for me, not in many good ways at all. I kept my original, but if they do decide to expand the game it will be Uruk II that gets it. This is a fantastically clever and original game that won a raft of top prizes, including the big one – the Spiel de Jahres. It took co-operative gaming to a new level, but managed to do so while being simple to teach anyone and also getting around the common ‘alpha player’ problem, here one player takes over the decision making in a co-op game. I’d looked forward to my first play, and did so in good company. Unfortunately, it simply isn’t for me. I’ve never felt so pressured to make the right decision in a game and you can’t turn to anyone for help; but you know that if you screw up, sometimes just once (if its bad enough), you will kill the game for everyone. Sure, it’s a relatively fast game and you can go again – but the pressure is right back on from the start. A really good game, but the tension it creates really, really isn’t for me. At the time of writing, Scythe is in the Board Game Geek top 10 with an average rating above eight. For me it’s a six (OK), hence only number eight here; it’s just a game I get frustrated about because for me it isn’t worth all the hype around it. The much vaunted theme is pasted on as badly as in any other euro game – especially on the laughable encounter cards. There’s nothing original here either; it’s just an average efficiency game which costs a fortune and which has a really bland first few turns, that happens to be blessed by some truly beautiful artwork and having one of the best PR men in the business in its corner. I was bored early on, had a brief 30 mins or so of enjoying myself (until we realised one player was ahead) and by the end I was bored. See also 7 Wonders Dual – another average (again, not bad – just OK) game that doesn’t deserve its Top 10 spot. 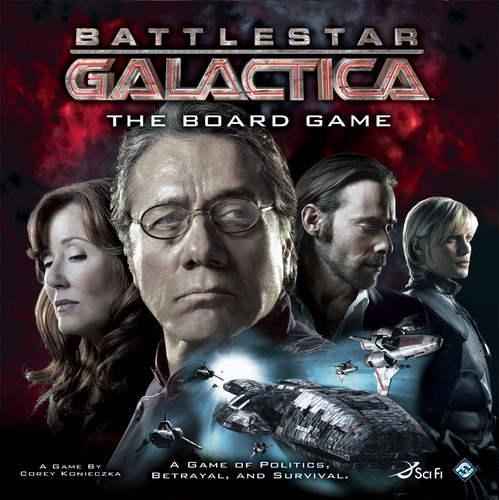 Currently just outside the BGG Top 50, my one play of Battlestar Galactica started OK, got boring after doing the same thing for about an hour, then went on for another four hours. ‘Lost the will to live’ doesn’t begin to describe it. To put things in context, I’m not a fan of the TV show (at all), but I was intrigued by the traitor mechanic – as a couple of players will secretly be Cylons. But in reality, once you take the nice production away, this game really needs people who want to get into character and ham it up a bit while the game’s mechanisms take a back seat. The length of it is, frankly, baffling for what is actually going on. In some ways this should be number one, as it is that very rarest of things: a non-Kickstarter game that seemingly wasn’t play-tested nearly enough before release and, quite simply, doesn’t work. 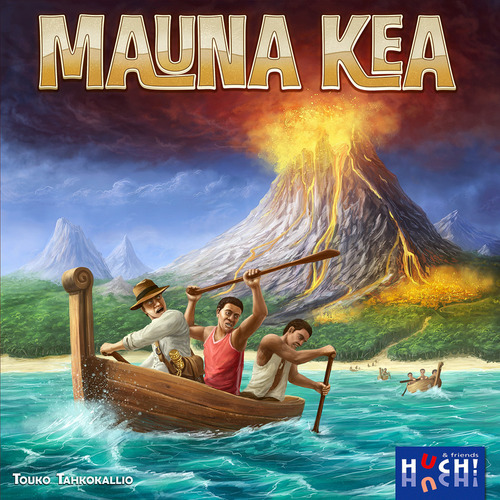 It’s a real shame, as the theme is a good one (escaping a volcano – what’s not to like?) and the core mechanism is interesting. Sadly though, it appears totally broken. I was excited for this at Essen 2013 and sat down for a demo. We had the game explained to us (it’s very much a family game) and away we went. Things immediately started to fall apart. Luck played a huge part, you could be hosed and out of the game very early having done nothing wrong/stupid, and if one player got a good dose of luck it was all over bar the shouting. We walked away hugely disappointed and everyone else we spoke to – plus the reviews and its rating (5.4) – seemed to confirm the fact. Hard to believe a company as good as Huch! got this one so badly wrong. When is a game not a game? One example is Luchador, where you roll some dice and do what they tell you to do 90+% of the time. Really. 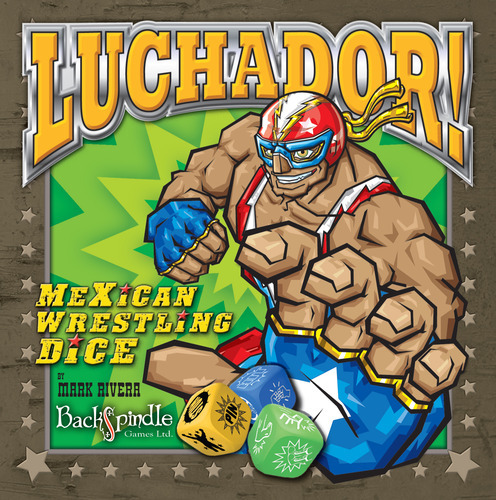 I love dice games, and the Mexican wrestling theme is a fun and original one. Unfortunately the only way to get any enjoyment out of this ‘game’ is to really ham it up and smack talk etc as you roll. Yes. The sad truth is that you have to do all the work here, because the game isn’t pulling its weight in the fun department. You literally have turns where you make no meaningful decisions. At all. For me, this is unforgivable. It’s such a shame as another, better game using the same theme may now struggle to get a foothold, probably putting people off using it. Hopefully someone will step up to the plate. Coup, a fantastic bluffing party game from Rikki Tahta, was released in 2012 to wide critical acclaim. It’s a game I greatly enjoy, so was intrigued when this Coup-alike came along the following year. Where Coup was probably 80% bluff and 20% confusion, this seemed to flip those numbers to create a nonsense of almost permanent befuddlement. Nobody seemed to know what on earth was going in, initial laughter turned to looks of, “What’s the point of doing anything?” We all walked away hugely disappointed. In truth the game has a high rating and is clearly popular. It’s silly and easy to teach, so with the right crowd I’m sure it could be a real hit. But I absolutely 100% will not be any part of that crowd. I’ll stick to Coup, thanks. 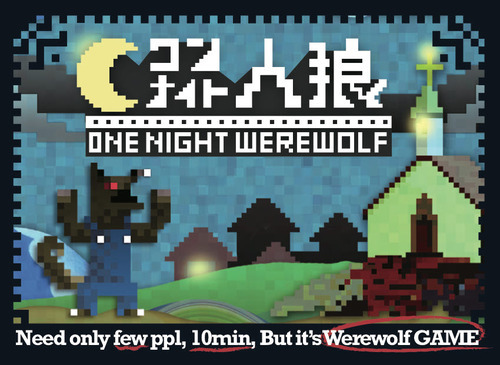 If you take my criticisms of Luchador and Mascarade and put them in one game, you get One Night Werewolf – a ‘game’ that relies entirely on the players making it fun and that leads off with practically no information on which to make any decisions. The original game Werewolf is certainly a Marmite game, but it’s hard to criticise it as an experience. One player leads the rest through a series of days and nights where players discuss who might be werewolves, then each night certain players will be eaten. You use this information to try and hunt out the wolves and it can be a really interesting experience. ‘One Night’ takes that idea and distils it into one night – so in doing so takes away any kind of deduction: it’s simply people talking crap for a few minutes and then everyone deciding who they think might be telling the truth, or lying. It’s truly horrible – although I guess it might be good for teaching drama classes. This is a perfect storm for this list: lovely art, I believed the hype, and it ticked all the right boxes in terms of its mechanisms. It’s a civ-building card game with hand management, variable player powers and a bit of interaction. Perfect. So what on earth went so badly wrong? For a start, in a game where you need to know what other people are doing, you need to be able to easily parse what cards they have in front of them. Well forget that: you have absolutely no chance of reading anyone else’s cards, even in perfect lighting conditions. The font is laughably small, making it hard enough to read your own cards, let alone others. Next, after a few turns, everyone will have tonnes – and I mean tonnes – of cards in front of them. Great. But what do they all do? Therein lies the next problem. Because, sadly, most of them do something very small, very tedious, but very necessary for you to get your engine going. This gives you this, which gives you that, which lets you do something else. Turns soon start to go on, and on, and on, mostly in a dull, solitary fashion. Until the interaction happens. Interaction is brutal, you can often do nothing to counter it, and it seems designed as a way to bash the leader. This is required as each faction has one really good card that, once out, gives them a big advantage in their engine building. So the rest of you need to bash them until you get your own special cards out. That is, of course, if you noticed them play it (as you can’t see what everyone’s cards are)… But again, the game is very popular – which only makes me hate it more. I really, really don’t understand this one. My number 1 and 2 flip-flopped several times while I was writing this list, but in the end the huge disappointment at having the good name of my top TV show in years sullied saw Firefly take the top spot. I loved everything about the ‘verse, so when I heard we were going to get a pick-up-and-deliver game I started to get excited. When I saw the board, the cards, the money, the custom dice, I was hooked. It was going to be Merchant of Venus brought up to date and in my favourite sci-fi setting. I was 12 again and it was going to be AWESOME. 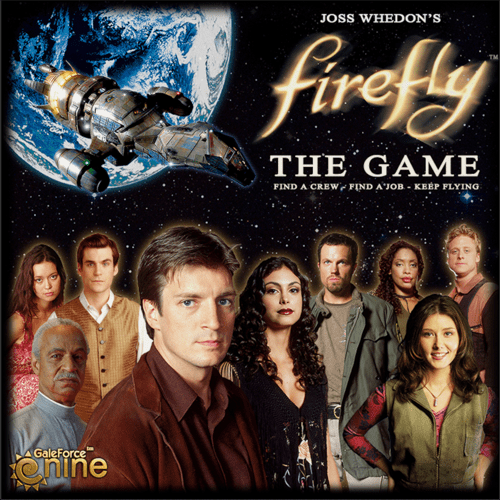 A game of Firefly takes hours. The rules are relatively complicated. Yet, despite this, the winner is going to come down to pure luck. Sure, you’re going to get a story packed with Reavers, and tragedy, and battles, and all your favourite characters. 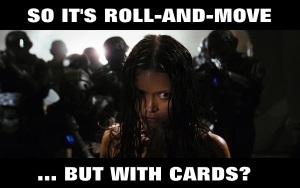 But you’ve got about as much control over things as you have when rolling Luchador’s dice. Your decisions are usually obvious – but the outcome is almost always a lottery. The complexity comes from layering luck upon other luck, making it seem deep when it fact it is nothing of the sort. It is truly one of the worst designed games I’ve ever played – and I’ve played a few. You can argue that, as a TV tie-in, the game shouldn’t be too serious, should appeal to families and non-gamers etc. But who thinks non-gamers want a needlessly complex game that last hours. And hours. But, once again, I’m seemingly in the minority. The game sits just outside the BGG Top 250 at the time of writing and has multiple reprints and expansions. And the problem is, it does look great and does have all the people and situations you want – just done really, really badly in terms of game mechanisms. Like any Firefly gaming fan, I want a GREAT game in the ‘verse and this is never, ever going to be it – and while it exists, no one else is going to be able to get the license and right this terrible, terrible wrong.